The villagers of Makhel, a historic village located in Manipur’s Senapati district bordering Nagaland have expressed their desire about the adoption of their village as a Heritage Village so that it can become a cultural melting pot. 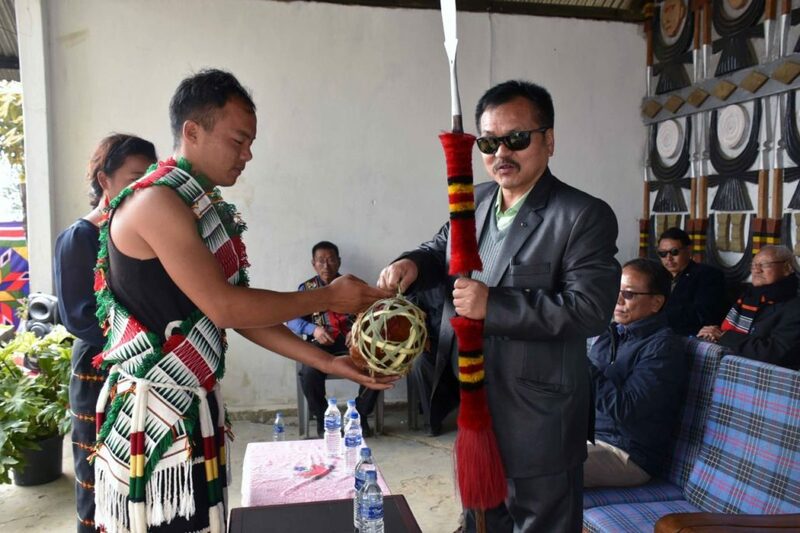 The villagers had approached the Manipur Tribal Affairs and Hills Minister, N Kayisii, during his visit to the village located about 120 km north of Imphal on Saturday, reports reaching Imphal said. According to the folktale and mythology of Poumai Naga, Makhel is said to be the dispersal site of the Nagas after coming from Indo-Myanmar area. Presently the village has a total population of about 3000 people spreading across 500 residents. Tadubi is the nearest town of the village in the district. Minister Kayisii, a Mao was accorded a grand traditional welcome by the villagers, clad in traditional Mao attires during the visit in the village wherein the ministerial team inspected the proposed site and monuments, sources said. The Minister also interacted with the village elders deliberating on the prospects and feasibility of establishing a Heritage Village. The villagers informed the Minister that Makhel village with its monuments, monoliths among others is an epitome of tribal culture. The villagers also apprised the Minister that adoption of Makhel as a Heritage Village can become a cultural melting pot for Makhel and its surrounding villages. Makhel village is an important historical, ethnographic and cultural centre for the Mao community and other Naga communities/villages that dwell in and around Makhel and the surrounding areas. The place has several historical and mythological monuments and relics that will be of interest to historians and cultural anthropologists, the locals claim. Minister N Kayisii was accompanied by Principal Secretary L Lakher of Tribal Affairs and Hills and Director of Tribal Affairs and Hills during the visit to Makhel.